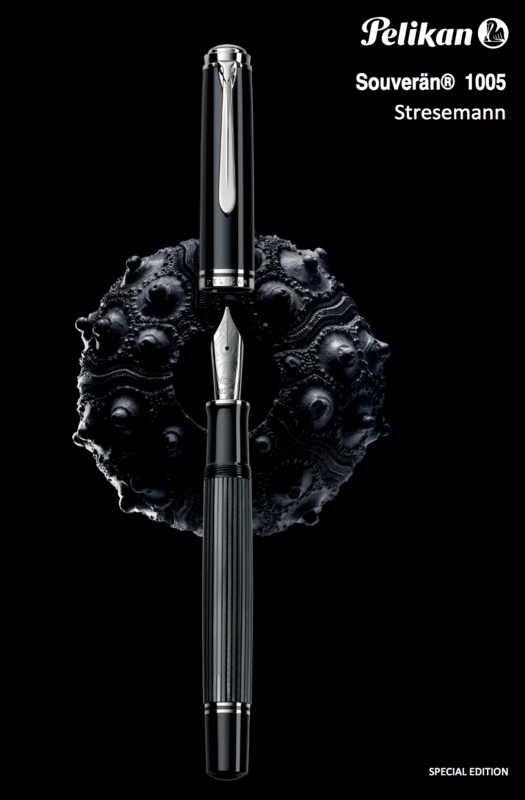 Arriving in March 2019, the M1005 Stresemann Special Edition makes this sleek grey and black design available in the largest of Pelikan's standard pen sizes. The generous ink capacity afforded by Pelikan's renowned differential piston-fill system will make this a favorite pen for many. Pre-orders for this pen are now being accepted - you will not be charged until your pen arrives here and is ready to ship to you. We are an authorized Pelikan dealer.